Driving directions to the Tukino Access Rd, and Lower Carpark. 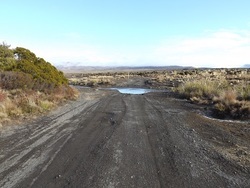 Tukino Access Road is off the Desert Road, State Highway 1, 46km South of Turangi, or 22km North of Waiouru. The lower car park is 7km in on Tukino Access Road, accessible by most vehicles along the gravel road. This is the pickup point for the Mountain Transfer Shuttle. Directions to the carpark are below. 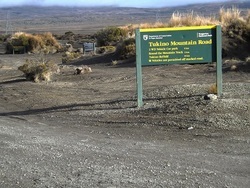 Beyond the lower car park, Tukino Access Rd is suitable for 4WD off-road vehicles only. Drive 46km South from Turangi. 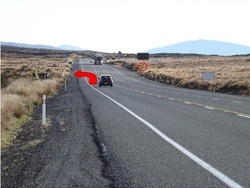 There are multiple signs on the Desert Road as you approach the Tukino Skifield turnoff. Tukino Skifield Access Road turnoff sign. Turn is on your right. Look for the Tukino Skifield Access Road turnoff sign. Turn is on your left. The lower car park for 2WD vehicles is 7km from the Desert Rd, towards the mountain. Head along the gravel access road. You will see a DOC sign 50 metres in from the Desert Road turnoff. You will approach the river ford. Keep going. Keep going until you see the army turnoff. Drive across the dry river bed. The base camp lower car park is situated 7km in from the Desert Road. ONLY OFF-ROAD 4WD VEHICLES ARE ALLOWED PAST THIS POINT. If you have a 2WD vehicle, or don't wish to continue up the 4WD access road, park your car. This is also the shuttle bus pick up point. Park your car in gear. Use rocks behind wheels to stop car rolling in wind. Leave your handbrake off, to avoid brake freezing. Before heading up the mountain, dress for conditions. 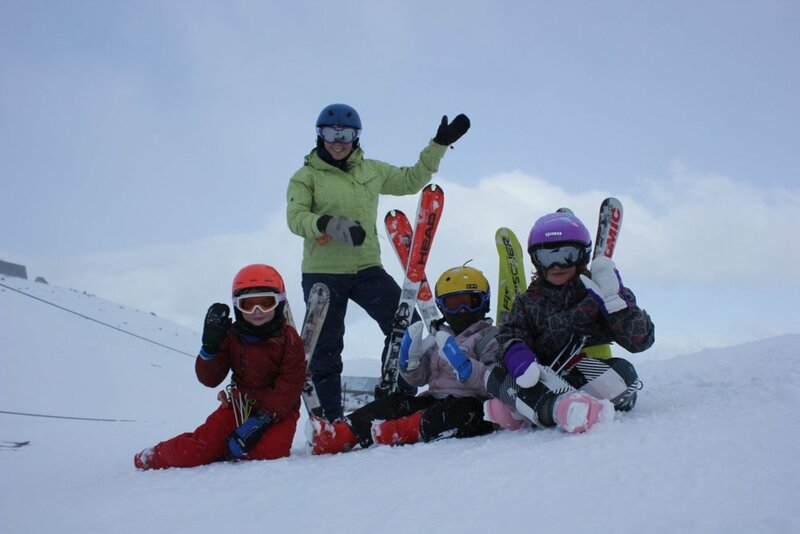 Ski gear, jackets, hats and gloves, walking boots, googles, are all recommended for your safety and comfort on the journey. If you don't have a 4WD vehicle, or don't wish to drive all the way up to the field, our mountain shuttle service can transport you and your family from the lower carpark. The service runs on demand during the season, 8.30am-5.30pm, while the field is open. 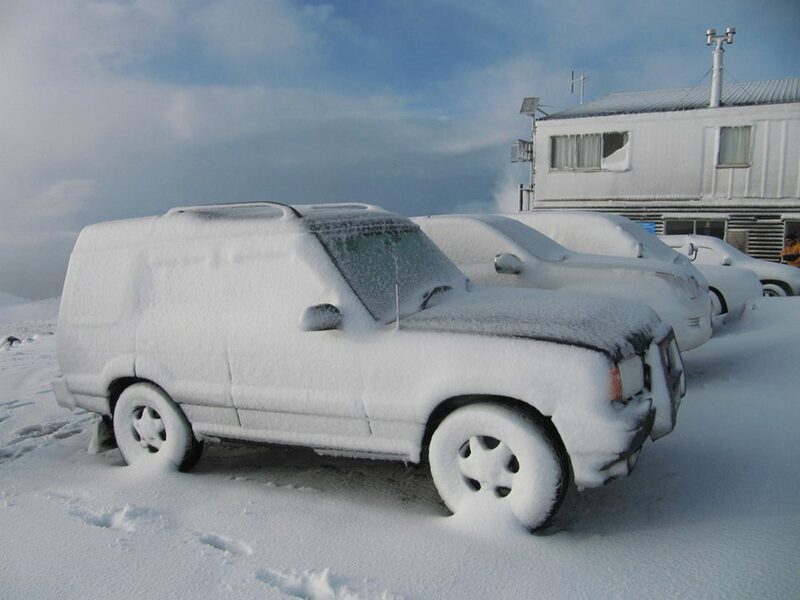 Tukino Ski Field and the lodges are accessible to four-wheel-drive vehicles via the Tukino Access Road when conditions permit. As mountain conditions are changeable at short notice, you must call to check the road is open, and advise us of your intentions, before you proceed past the lower car park. Use of the Tukino Access Road is at your own risk. Dress for the conditions, in case you need to abandon vehicle.